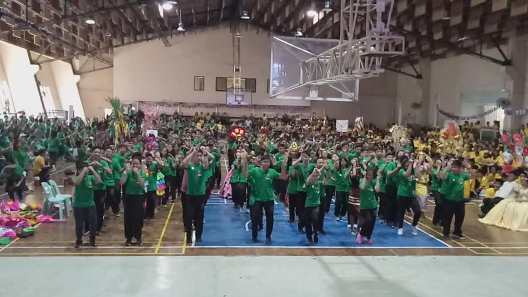 Grades 7 and 8 Family Day 2018 was held at the PSHS-MC Gymnasium last November 10, 2018. 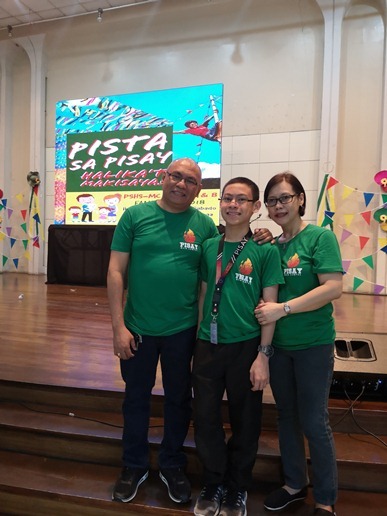 The event, dubbed as Pista sa Pisay Halika’t Makisaya, was hosted by Mr. Arthur Billedo and TV show host Ms. Lyn Ching-Pascual whose daughter is currently a Grade 8 student of Pisay. 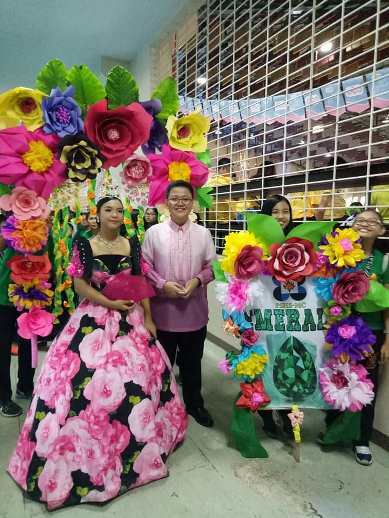 Each Grades 7 and 8 section had an arch designed by the parents which was used during the Parade of Muses and Escorts. Prizes were awarded to the winners of the Best in Costume and Best in Arch Design. Consolation prizes were likewise given to the non-winning class arches. Parents and students had their own flash mob dance, too. I am proud to say that the Grade 7 flash mob was beautifully choreographed by our section’s student class president, John Gabriel Pardito Ibo (a.k.a. Gian), one of my son’s best buddies this school year. Gian’s design was also used in the Grade 7’s Family Day shirt. 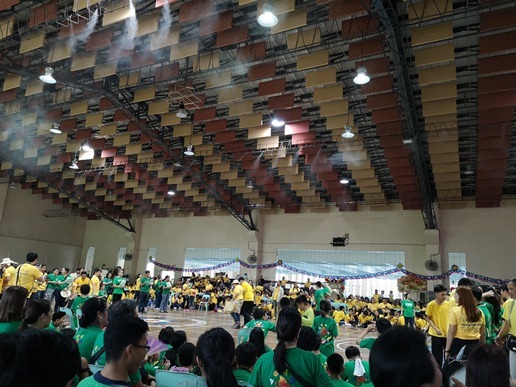 There were also fun and exciting games during Pista sa Pisay. Of course, a Family Day celebration isn’t complete without our own Family Day photo. And lest I forget, I also got to see my college friend and classmate Yin during the event. Yin is now the Unit Manager of Sun Life Financial, Mango Branch. 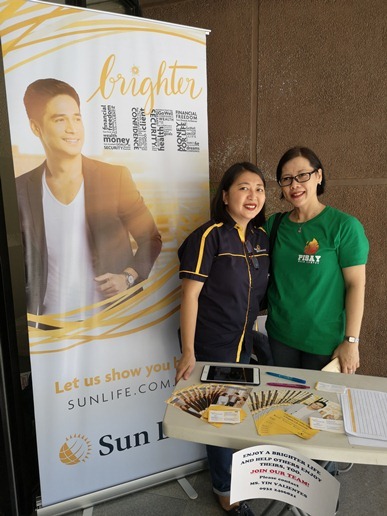 Sun Life was one of the Gold sponsors of Pista sa Pisay. Pista sa Pisay was made possible possible through the generosity of the following sponsors: Mom and Tina’s Bakery Café, Outbound Education and Internships, Sun Life Financial, Chelsea Logistics Holdings Corp., Grade 8 Jasmin, Grade 8 Dahlia, Grade 8 Champaca, Grade 8 Sampaguita, Comida China Manila, A.V. Santiago Development Corp., TeamWorks, ECH Fuel Distributor Inc., Shapes and Sizes Wellness Hub, Mr. Softy, Pro Vision Eye Care, Unilab, FWD Insurance, CDO, Softsell, United Architects of the Philippines Del Pilar Bulacan Chapter, Nescafe Gold, Artline, Smart, Healthy Family and Casio. Thank you, Mommy Let Rosario-Abdon, for allowing me to use some of your Family Day photos in this blog post. 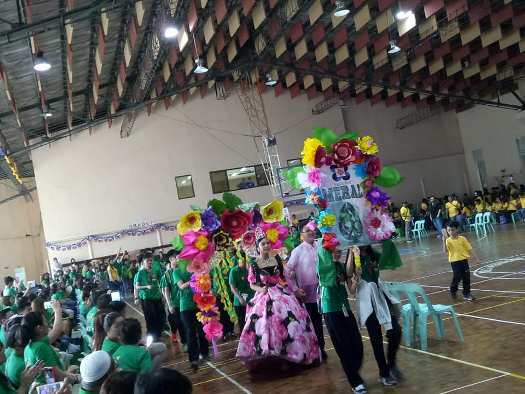 This entry was posted in 2018 Family Day, Grade 7 Emerald, Philippine Science High School, PISAY, Pista sa Pisay, PSHS Main Campus. Bookmark the permalink.